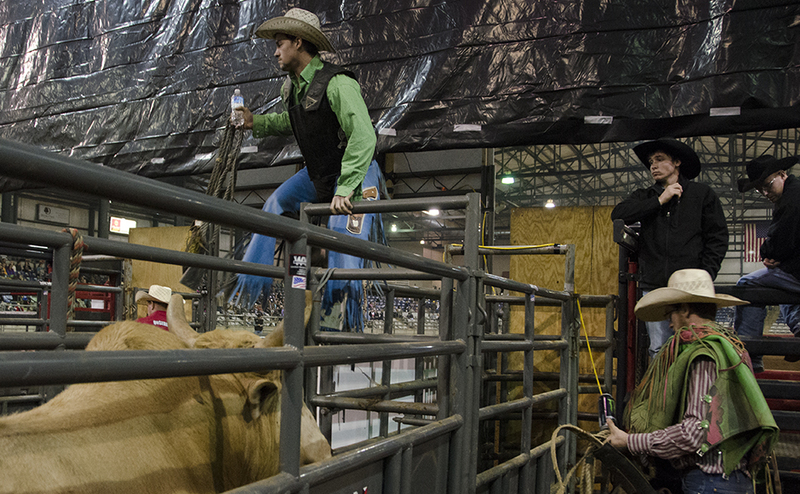 "Tiger Blood" bucks Adrian Stackhouse of Orangeville, Pennsylvania between rounds at the Southern Extreme Bull Riding Association's national finals, held in Murfreesboro's Tennessee Miller Coliseum on January 24, 2015. 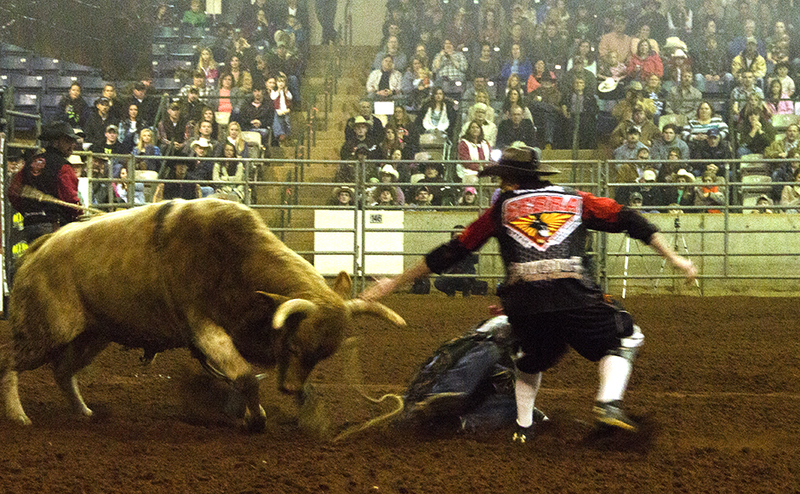 The Southern Extreme Bull Riding Association came to the Tennessee Miller Coliseum in Murfreesboro for the fourth annual national finals last weekend to benefit the Boys and Girls Clubs of Rutherford County. A portion of the ticket sales for the Jan. 24 national finals were donated to the clubs, SEBRA announced in a press release. Previously, the competition has made donations to Above the Rim Gym, a program teaching children in Murfreesbor communication skills through basketball, and the Exchange Club, both in Rutherford County, to benefit local nonprofits. The event took place over three days, from Thursday through Saturday evening’s finals, at Miller Coliseum. The weekend kicked off Thursday afternoon when kids from the Boys and Girls Club met SEBRA bull riders competing in the finals and learned how to rope steers during their quest to be cowboys for a day. A roping competition between the bull riders and the bodybuilders of the Olympus Athletic Club took place on Thursday night after the event with Boys and Girls Club members. Olympus owner Sean Barber raised funds for Above the Rim Gym by promising that, if his donation target was reached, he would get back on a bull to ride. Forty of the top-ranking SEBRA riders competed on Friday and Saturday night for more than $70,000 in awards during the national finals. In the end, Cody Martin of Butler, Georgia was named national champion at the end of the weekend, winning more than $36,000 over the course of regular season competition. Tennessee Miller Coliseum will host the southern Invitation Truck and Tractor Pull on Jan. 30 and 31. 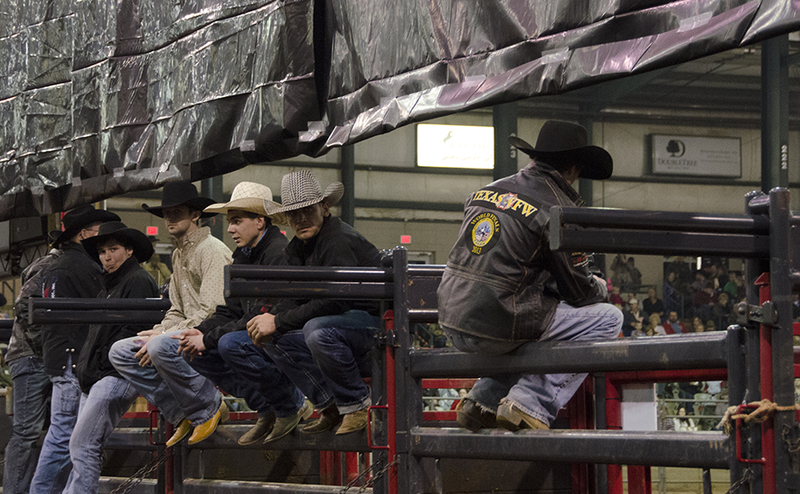 Cowboys rest on the bucking chutes in between rounds at the Southern Extreme Bull Riding Association's national finals, held in Murfreesboro's Tennessee Miller Coliseum on January 24, 2015. 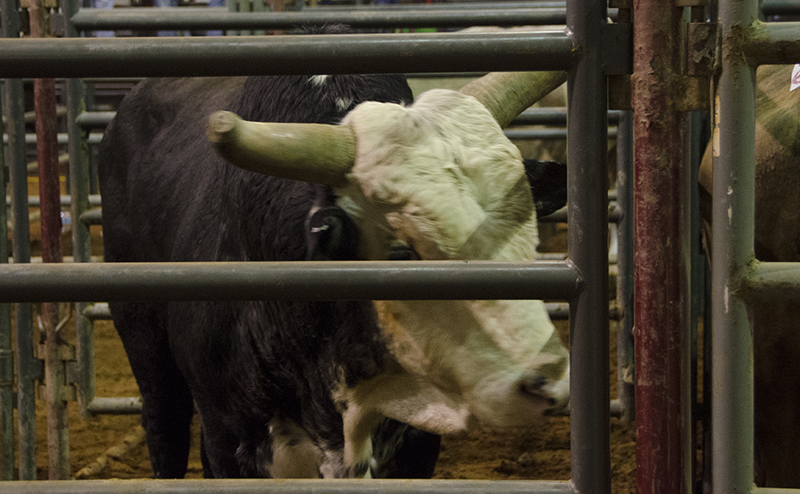 A bull waits in his pen at the Southern Extreme Bull Riding Association's national finals, held in Murfreesboro's Tennessee Miller Coliseum on January 24, 2015. 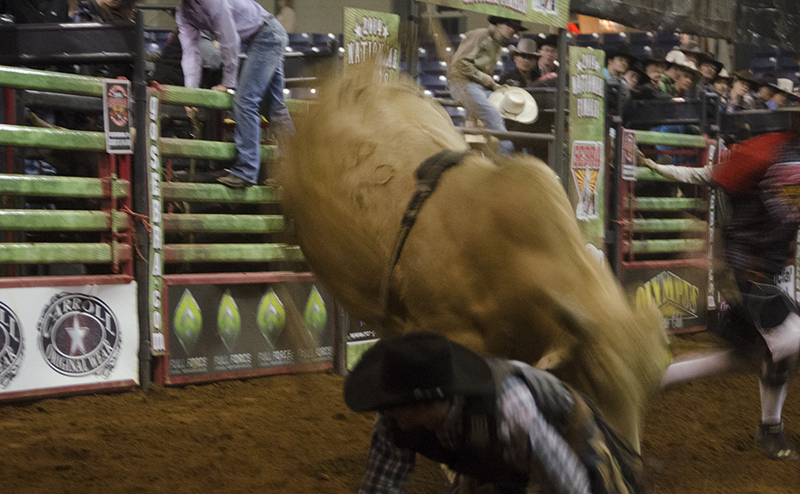 The scene behind the chutes of the Southern Extreme Bull Riding Association's national finals at Tennessee Miller Coliseum in Murfreesboro on January 24, 2015. 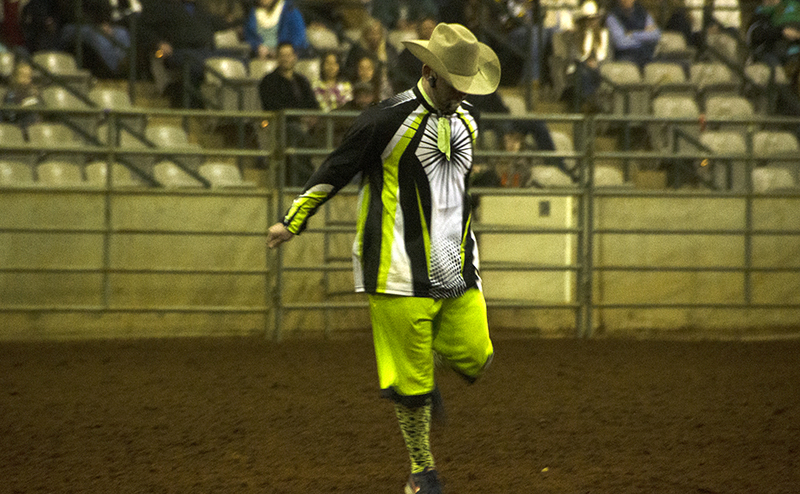 Brett Carpenter, a two-time winner of the Southern Extreme Bull Riding Association Rodeo Clown/Barrel Man of the Year award, entertains the crown at the 2015 SEBRA national finals in Murfreesboro's Tennessee Miller Coliseum on January 24, 2015. Eric Lee of Adrian, Michigan, and "Little Tex" between rounds at the Southern Extreme Bull Riding Association's national finals, held in Murfreesboro's Tennessee Miller Coliseum on January 24, 2015. 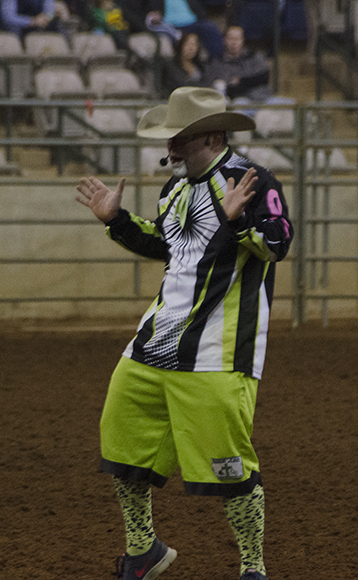 Brett Carpenter, a two-time winner of the Southern Extreme Bull Riding Association Rodeo Clown/Barrel Man of the Year award, dances a jig to "Rocky Top" at the 2015 SEBRA national finals in Murfreesboro's Tennessee Miller Coliseum on January 24, 2015. 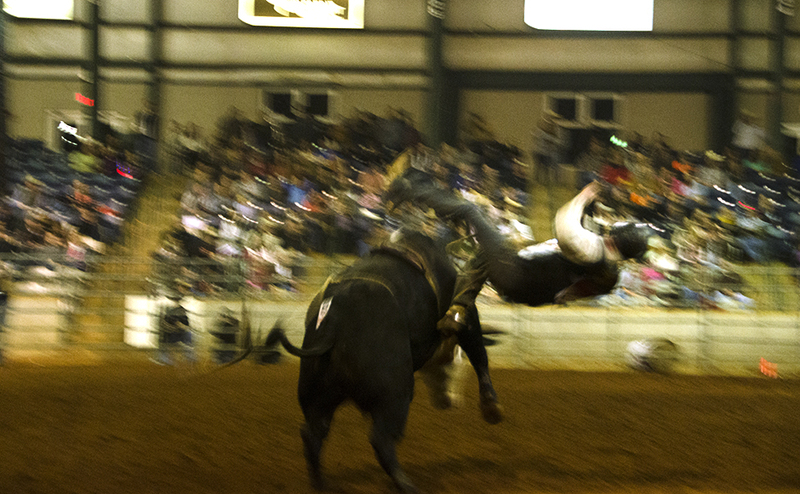 Jason Tinsman of Farmland, Indiana gets bucked from "Lots of Spots" between rounds at the Southern Extreme Bull Riding Association's national finals, held in Murfreesboro's Tennessee Miller Coliseum on January 24, 2015. 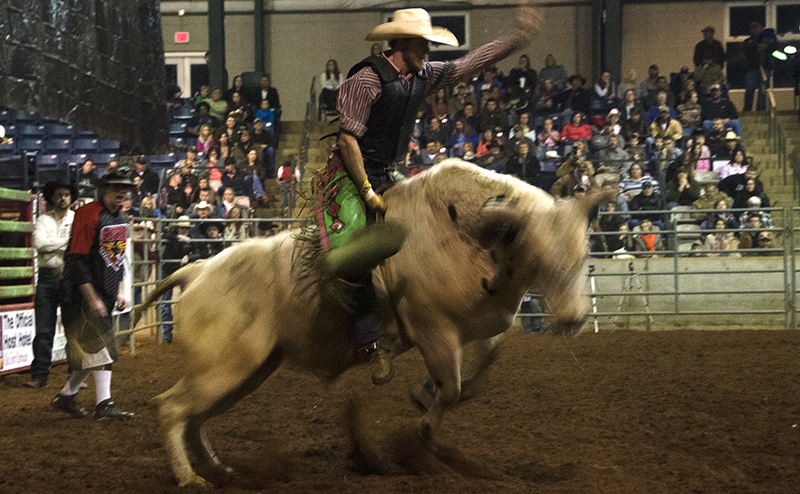 Kevin McKeeman of Monterey, Tennessee, rides "Zipper" between rounds at the Southern Extreme Bull Riding Association's national finals, held in Murfreesboro's Tennessee Miller Coliseum on January 24, 2015. 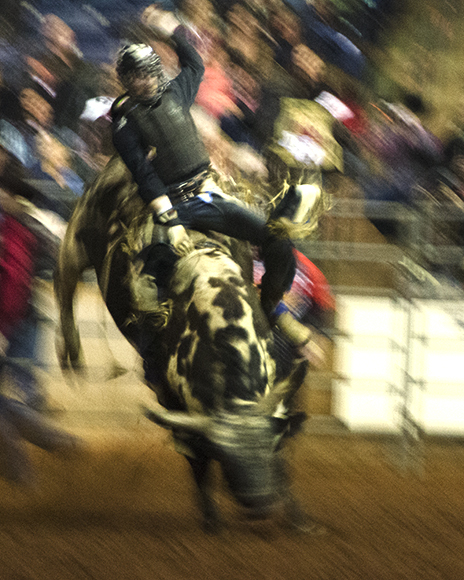 Marcus Mast of Galesburg, Michigan, rides "Mississippi Revival" between rounds at the Southern Extreme Bull Riding Association's national finals, held in Murfreesboro's Tennessee Miller Coliseum on January 24, 2015. 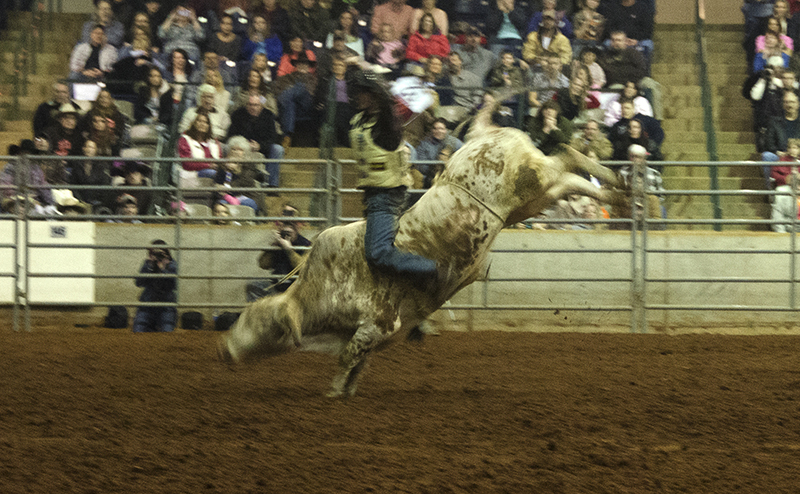 Ralph Hobson of Breman, Ohio rides "Ghetto Bob" between rounds at the Southern Extreme Bull Riding Association's national finals, held in Murfreesboro's Tennessee Miller Coliseum on January 24, 2015. For more community news, follow us at www.mtsusidelines.com, on Facebook at MTSU Sidelines and on Twitter at @Sidelines_News. To contact news editor Meagan White, email newseditor@mtsusidelines.com.